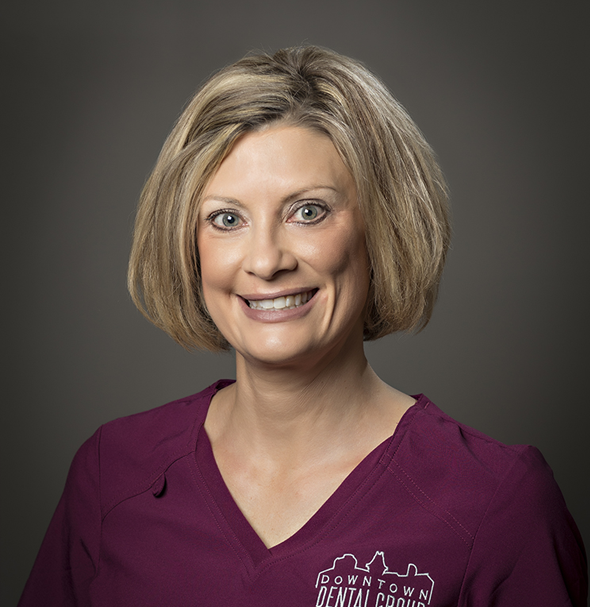 Ky Zenger is a Dental Assistant at Downtown Dental Group. Ky grew up on a farm and was part of a large family, which makes working at DDG feel like home. Ky enjoys the patients and the staff most about working for DDG. Right out of college, Ky knew that she wanted to be in the health profession and that DDG was the place. Outside of work, Ky enjoys spending time with her children and attending their various activities. She also enjoys spending time in the yard. Any time Ky gets a sweet gift from her children or a complement from a friend, her day is made and that is the true way to her heart.